When you think of drones, or sUAS, you probably imagine pesky buzzing contraptions floating over your head from time to time as you walk down the street (Figure 1). Drones have gained a new purpose by being put to use in coral reef research in Oahu, Hawaii, by a group of coral biologists interested in finding out if they are a feasible means for studying reefs from above. As extensively as coral bleaching is studied and discussed in the media, there is a critical disconnect in the methodologies used for collecting data on this topic. While scientific divers offer reliable data, there are important limitations to their work. For example, safety hazards or weather conditions can prevent standard, repeatable measurements from being taken, in addition to the limited spatial scale possibilities. This is where sUAS come in: when seas are calm and shallow, sUAS can cover hundreds of meters of reefs while maintaining high-resolution data quality (Thomas 2016). Levy et. al are not the first to use sUAS for scientific purposes, as they have been employed for wildlife surveys and other marine ecological purposes before, but they bring a fresh take to the spatial dynamics field by employing new technology to answer their research questions. Figure 1. Image of a small unmanned aerial system (sUAS). Photo by Aeryon Labs. To study how patch reefs reacted to recent warming/bleaching events circa 2014/2015, Levy et. al identified four clusters of reef with differential reactions to the elevated temperatures. The four sites studied ranged from healthy, to pale, and finally bleached as a function of the warm ocean temperatures that hit Ka ̄ne‘ohe Bay in 2015. Before the flight, cameras were attached to the sUAS and a flight plan was designed to target the locations of interest. Flights were controlled for speed and altitude based on the characteristics of each location visited by the sUAS. The team conducted their data collection from aboard a boat stationed adjacent to each reef. Aerial imagery was calibrated by placing PVC pipes and floats in the water and verifying that they were clearly visible in images taken by the sUAS (Figure 2). Figure 2. Images depicting ground images and aerial images of a section of reef in Ka ̄ne‘ohe Bay. (a) An image taken from a sUAS flight and (b) the cropped image verifying the visual of PVC pipe quadrant from the sUAS. (c) The verification of the same section of reef as seen from the ground. The authors note the inability to capture the entire area of the quadrant from ground level due to extremely shallow waters in this location. Levy et. al found that each of the four reefs displayed a clustering of the health types ranging from healthy to bleached. This could be a result of local scale variations in environment. The highest density of bleached coral was always on the south/southeast portion of the reef, likely because of ocean currents and other physical variables such as position relative to the coast. 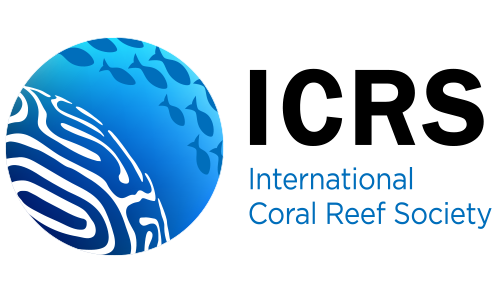 This study is important in the coral reef community because of the questions it addresses regarding spatial relevance. There is little information on a biologically widespread scale on coral reefs, so surveys conducted by divers may deem the state of the reef in one small area as very different from the state of the entire reef altogether. Levy et. al’s research takes a step towards determining what scale is most accurate to study reefs from. Further studies should aim to decrease the discrepancies between different survey methodologies in an effort to standardize data collected in this field. Furthermore, sUAS that are specific to coral reef studies and more resilient to weather conditions may be developed to ensure that the highest quality data possible. This will also allow for other studies on marine ecology to make use of this technology. Overall, an open-minded perspective of scientists and the public is essential for bringing new technology into the science of coral bleaching. Thomas, H. (2016). Quantitative analysis of two low-cost aerial photography platforms: A case study of the site of Zagora, Andros, Greece. Journal of Field Archaeology, 41(6), 660-670.